The Supreme Administrative Court in its judgment of 16 November 2010 case file II GSK 903/09 held that the whole evidence material that was gathered in the file on the grant of the right of protection for a trademark is an integral part of the evidence concerning the invalidation proceedings that was initiated as a result of a notice of opposition to a final decision of the Patent Office on the grant of a right of protection. Categories: Art. 107 §3 APC | Art. 129(1)(ii) IPL | Art. 129(2)(ii) IPL | Art. 131(1)(ii) IPL | Art. 145 PBAC | Art. 174 PBAC | Art. 256 IPL | Art. 7 APC | Art. 77 APC | Art. 80 APC | Polish Act on Industrial Property Law | Polish Act on Proceedings Before Administrative Courts | Polish Administrative Proceedings Code | Polish Supreme Administrative Court. 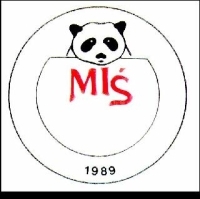 On 14 October 2002, the Polish company BWS Polska Sp. z o.o. based in Zaczernie applied for the right of protection for VARNA Z-256235 trademark for goods in Class 33 such as wines. The Polish Patent Office informed the applicant that it cannot be granted a right of protection because VARNA is also a geographical name of the Bulgarian city of Varna, which is located in the eastern Black Sea region famous for producing high quality white wines. Due to the fact that the seat of the applicant is located on Polish territory, the sign may lead the potential buyers to confusion as to the origin of goods. In response, BWS noted that the sign does not contain any false information, while simultaneously indicating that it is an importer and distributor of wines from south-eastern Europe, including Bulgaria. The PPO received also comments issued by BSG Poland Sp. z o. o. in which the company raised objection of lack of statutory requirements for the protection of the questioned trade mark. Comments were sent to BWS but the company has not agreed to these statements. The Polish Patent Office refused to grant a right of protection. The PPO ruled that VARNA sign is information on the place of the origin of wine – the site of a wine-growing and processing, without informing the consumer about anything else. According to the PPO, the importer has the right to register its trade mark, but the choice that violates the rights of manufacturers who conduct business in the region of Varna – infringes on the principles of merchant’s honesty. A situation in which the Bulgarian wine producers could not provide the Polish consumer that the wine has been produced by them is not fair, because they were outrun by an entity whose relationship with Bulgaria is at least questionable. BWS requested the retrial of its case. The company reduced the original list of goods to wines from Bulgaria. It argued also that, under a contract with the Bulgarian multi-vendor, which is located in Varna, it has exclusive rights to sell original bottled VARNA wine. BWS indicated that the packaging of imported wine, includes bottle shape and color and shape, color, composition and location of the graphic label and it is its own creation. The company pointed out that the Trade Mark Register includs other signs being the name of national and international cities, towns, and in its opinion, the registration of VARNA trade mark will not be the monopolization of the word, because the Varna city remains a geographical name, the name of the appellation of origin or possibly the name of the seat of the suppliers of wine. After reconsidering the matter, the Polish Patent Office upheld the contested decision. The PPO withdrew from contesting the trade as contrary to good merchant’s practice and public policy, pointing out also that the limited list of goods also been removed as an obstacle to the misleading nature of the sign. However, the PPO ruled that VARNA is the word trade mark, with no graphics, and indicates the origin of goods, therefore, it cannot be registered. The average consumer will read the sign as the Bulgarian city or geographic region on the Black Sea, famous for making wines. BWS filed a complaint against this decision. The Voivodeship Administrative Court in its judgment of 18 March 2009 case file VI SA/Wa 2098/08 held that the contested decision is the right. According to the Court the basic prerequisite for the grant of the right of protection is the distinctive character of a sign. The legal doctrine distinguishes between the so-called abstract distinctive ability and the concrete distinctive ability. The mark is characterized by the abstract distinctive ability, where a sign is examined abstractly (in isolation from the specific goods or services) capable of distinguishing the goods of one undertaking from those of another. The mark has concrete distinctive character when it is capable of distinguishing goods or services specified in the application to the Patent Office of goods or services of another company. BWS filed a cassation complaint. The Supreme Administrative Court in its judgment of 13 July 2010 case file II GSK 691/09 reversed the contested judgment and refered the case back for reconsideration. The SAC held that the VAC overlooked in its deliberations, the fact that the disputed word mark VARNA is not present in the Polish language as the name of the city in Bulgaria. This spelling of the city name does not occur in Bulgarian either (it’s Варна). However, in Polish language the city is known as Warna. Meanwhile the VAC in assessing the facts of the case stated that it was undisputed that the sign is the name of the VARNA city in Bulgaria and that by placing it on the goods (wines originating from Bulgaria) it will indicate the relevant public without difficulty and without no additional actions the origin goods. The Court had the duty to assess the legality of the contested decision of the Polish Patent Office even if the allegation was not raised in the complaint. The law requires that the assessment whether the mark is sufficiently distinctive has to be made individually for each sign. The VAC should also examine the issue whether a questioned sign due to the use of the first letter “V” and not “W” (as is correctly spelled in Polish) has sufficient distinctiveness, although phonetically the “V” and “W” letters sound the same in the Polish language. Of those grounds the SAC held that the VAC has not made an overall assessment of distinctive character of the sign in question, taking into account its visual, aural or conceptual elements, and therefore the VAC infringed on Article 113 §1 and Article 145 §1 point 1 C of the Polish Act on Proceedings before Administrative Courts, since it dismissed the case without adequate explanation of the matter. The SAC noted also that the BWS claimed that, under the earlier decisions of the PPO, it acquired rights of protection for trademarks, even though they were the names of cities (Melnik – a city in Bulgaria), Calama (a city in Chile), or Beverly Hills (a city in California), however, the VAC did not respond to such arguments. In light of the settled case-law of the Supreme Administrative Court, the administration body can change its opinion on the content of the right conclusion, which should be issued in a specific type of cases, but it must carefully justify such a change, especially when changing the view of decisions taken in relation to the same applicant. The case-law of the administration may therefore be subject to change, if the authority demonstrates that there are reasonable grounds. Categories: Art. 129(1)(ii) IPL | Art. 130 IPL | Art. 145 PBAC | Art. 174 PBAC | distinctive character | geographical name as trade mark | Polish Supreme Administrative Court | product packaging | trade mark examination. The Supreme Administrative Court in its judgment of 15 February 2010 case file II FPS 8/09 held that if the reasons of the judgment of the Voivodeship Administrative Court do not include a position as to the facts adopted as the basis for the contested decision, it may constitute an independent basis for the cassation appeal. Categories: Art. 141 §4 PBAC | Art. 174 PBAC | case law | Polish Act on Proceedings Before Administrative Courts | Polish Supreme Administrative Court. The Polish Patent Office refused to recognize the right of protection for CHECK-UP IR-0595827 registered under the Madrid Agreement Concerning the International Registration of Marks for Zabaione GmbH and used to designate the goods in class 25, such as clothing for men, women and children and bars for clothes. 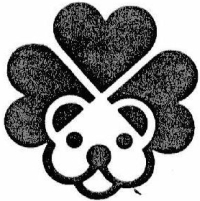 The PPO ruled that the questioned sign is similar to CHECK-IN IR-0552746 trade mark registered with an earlier priority from 19 June 2002, for Hohe-Modelle Maria Hohe GmbH & Co., intended for marking of the goods in Class 25 such as outerwear for ladies and children. The PPO ruled that to fulfill the provisions of Article 132(2)(ii) of the IPL, it is necessary to accumulate of the several factors: the signs must be similar to each other, the goods for which trade marks are meant should be homogenous, and as the consequence of the similarity of the signs and the goods, there is a risk of confusion as to the origin of the goods covered by those trade marks. The Voivodeship Administrative Court in Warsaw in its judgment of 23 April 2007, casefile VI SA / Wa 145/07 dismissed the complaint filed by legal predecessor of Zabaione GmbH. In the opinion of the VAC, the Polish Patent Office correctly refused to recognize the right of protection for a trademark CHECK-UP, pointing to its similarity to CHECK-IN trade mark and the similarity of the goods in class 25, and acknowleded that it may lead to the risk of misleading the public. According to the Court, the PPO correctly assessed the similarity of signs, and rightly pointed out that the trade marks are similar to each other both visually and phonetically because of the first parts of the two signs. Both trade marks are composed of two elements, and have the same first part, “CHECK” and accordingly the suffix “UP” in the applicant’s character and the suffix “IN” in the opposed sign interconnected by a hyphen. According to the Court, the signs are also similar in the aural aspect – they are pronounced very similarly. Different suffixes are not sufficient to prove diversity of both signs. These are components are of secondary importance. The court shared the view of the PPO that the recipient pays more attention to the first elements of signs, and less to the endings, because visually the first letters and syllables attract the most attention and are better remembered. The average customer usually does not examine in detail all the elements of the trade mark, but it perceives a given sign as a general impression. The VAC agreed with the applicant that the two signs have completely different meaning in English, however, the similarity of signs shall be always from the perspective of the average consumer. The knowledge of English in Polish society is not yet sufficiently widespread. For a person who does not speak English language these signs are fanciful. The Court shared the opinion of the PPO that both signs are intended to designate similar goods in class 25 and the goods are complementary. According to the Court, a customer who knows goods under the brand CHECK-IN, may think the same company introduces a new range of clothing for men, women and children, branded with CHECK-UP trade mark. The Court emphasized the fact that Article 132(2)(ii) of the IPL uses the term “identical or similar goods”, i.e. the similarity of the goods is not identical as their identity. Similarity occurs in the case of goods of the same kind of similar purpose and conditions of sales. Clothes, for which both trade marks are deisgnated are undoubtedly similar goods regardless of their differences in assortment. The average customer can therefore assume that they are produced by the same manufacturer. An outerwear manufacturer of high quality and original clothes designed for specific audiences, could in fact release a new line of clothing of average standard intended for a wider audience, marking it with CHECK-UP trade mark. Referring to the applicant’s argument that the two signs benefit from protection in Switzerland and Germany, the Court emphasized that protection of trademarks in each country and the guarantee that effective protection is not absolute. The registration under the Madrid Agreement does not mean that a trade mark is protected automatically in each Member State. The applicant is seeking trademark protection on the Polish territory, so Polish law is applicable to the assessment of the trade mark registrability. The Company decided to file a cassation complaint. The Supreme Administrative Court in its judgment of 28 February 2008, case file II GSK 380/07 dismissed the cassation. The SAC noted that the Company has not provided any arguments concerning the erroneous interpretation of Article 132(2)(ii) of the IPL. It did not indicated whether there was the breach of any regulations on administrative proceedings. If there is no infringement of the proceedings, it can not be argued that there is a breach of substantive law, in this case, Article 132(2)(ii), just because the plaintiff thinks the facts are different. The SAC ruled that if the cassation complaint is based on allegation of improper application of a given provision of substantive law, the arguments included in such a complaint should explain why the accepted legal basis for settlement of the contested provision has no relation to the facts established, and what other provision the court should apply. Categories: Art. 132(2)(ii) IPL | Art. 174 PBAC | homogenity of goods | likelihood of confusion | Polish Supreme Administrative Court | similarity of signs | trade mark examination | trade mark refusal. 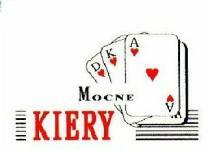 Imperial Tobacco requested the Polish Patent Office to invalidate the right of protection for “KIERY A K D mocne” R-131390 registered for GALLAHER POLSKA Sp.z o.o., for goods in Class 34 such as cigarettes. Imperial Tobacco is the owner of the right of protection for “M mocne” R-68755 trade mark registered for goods in Clss 34 such as cigarettes. The PPO dismissed the request and explained that the Trade Marks Act contains no provisions on the so-called disclamation rule which is based on identifying which elements that are part of a registered trade mark should not be protected and deemed as informational sings/elements. The word “mocne” (in English: “strong”) refers to the characteristics (properties) of cigarettes, which is associated with the fact that strong cigarette contains more tar and nicotine than light cigarette. 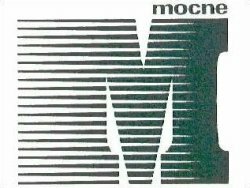 The M-Mocne brand due to the presence in the market for several decades acquired the status of well-known trade mark among smokers, which according to the assesment of the Polish Patent Office does not change the fact that “mocne” sign is deemed as the informational term. Imperial Tobacco filed a complaint against this decision. The Voivodeship Administrative court in warsaw in its judgment of 20 January 2005 case file VI SA/Wa 333/04 agreed with the PPO and dismissed the complaint. The VAC held that it is wrong assumption that the use of the registered word-figurative trade mark “M mocne”, resulted in obtaining the status of well-known trade mark of one of its elements, i.e. “mocne” word. Imperial Tobacco filed a cassation complaint. The Supreme Administrative Court in its judgment of 26 January 2006 case file II GSK 349/05 held that the word “mocne” lacks sufficient distinctiveness. Therefore, the right to use this term (as well as “lekkie”) have all manufacturers of tobacco/cigarettes. This does not affect the personal or property rights, because the word is not property. Moreover, the Court noted the term “mocne” can never acquire distinctive character and all the time should be considered as an informational indication. Categories: Art. 107 §1 APC | Art. 174 PBAC | Art. 315 IPL | Art. 7 APC | Art. 77 APC | Art. 8(1) TMA | Art. 8(2) TMA | Art. 80 APC | descriptive character | distinctive character | personal rights or interests | Polish Act on Industrial Property Law | Polish Act on Proceedings Before Administrative Courts | Polish Act on Trade marks | Polish Administrative Proceedings Code | Polish Supreme Administrative Court | product packaging | trade mark invalidation | Voivodeship Administrative Court | well known trade marks.